Cord Blood Banking - Potential Life Saver or Marketing Trick? Advertisements for cord blood banking can be found in the offices of just about every OB/GYN, but many parents still have pressing questions about this important medical decision. If you don’t plan to have more than one child, you may not benefit greatly from making a cord blood donation. Cord blood contains embryonic stem cells that can be used to treat genetic disorders. There are many stories involving children that have been brought from the brink of death thanks to their siblings’ blood cord, but the fact of the matter is that storing and collecting cord blood is terribly expensive. Also known as stem cell banking, cord blood must be collected within a few days and then be stored at a remote facility. 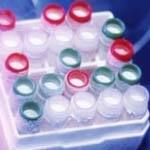 The temperature and setting must be just right in order to preserve cord blood. A single donation can cost family thousands of dollars within the first few years. If you have a family history of deadly genetic disorders, cord blood banking may literally save the lives of your children. However, this is not a luxury that all parents can be afforded. What is known about umbilical cord stem cell research is that younger stem cells have the most potency. Adult stem cells have their place in medicine, but they are not as useful as those harvested from embryos. There are many companies that provide cord blood banking services, but some of them rely on misinformation and fear mongering rather than the facts. Stem cell treatment for autism has not yet been validated by independent studies. Save a few genetic disorders that are actually deadly, there are few other diseases that have been completely reversed with stem cells. If you want to learn if cord blood banking is right for you, plan to undergo genetic testing during your pregnancy. In addition, speak to your family members so that you are able to write down your complete medical history. All genetic disorders are caused by recessive genes, but you should be able to observe at least a few instances of genetic diseases within your own family if this is a major issue.